Displaying the right price on a web page is essential. Get the price wrong, display it inappropriately and your visitor can disappear within seconds. They have to see the right price in the right way in an instant. But how should you display prices? What type size should you use? Are the colours of prices important? 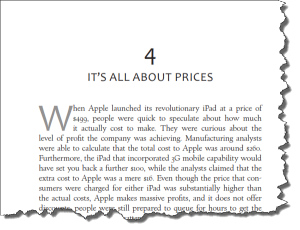 These and many other questions about the psychology of pricing online are answered in this chapter. Billions of dollars are being thrown away each year by online retailers. They let people fill up their shopping baskets and then go the checkout and then do nothing. The shopping cart abandonment rate on the web is massive with millions of people every day shopping and then deciding at the last minute not to buy. 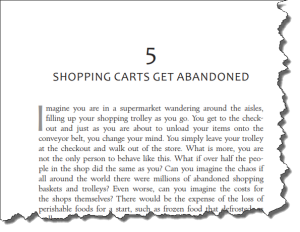 This chapter explores why people abandon their shopping baskets and what online retailers can do to prevent it from happening in the first place. 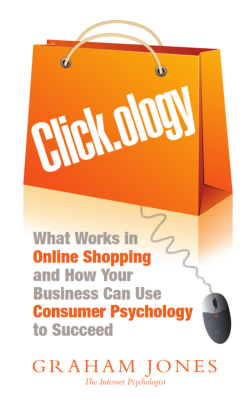 In the online world the only real competitive edge that many retailers can find is with great customer service. 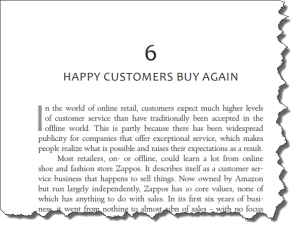 This chapter explores why people like good customer service and what that good customer service looks like. You will discover some excellent examples of stunning customer service online and find out why people need to see that they will get such good levels of service.